Our A-Frame signs are printed with Full Colour Digital Print and Lamination can have any design printed in full colour on both sides. 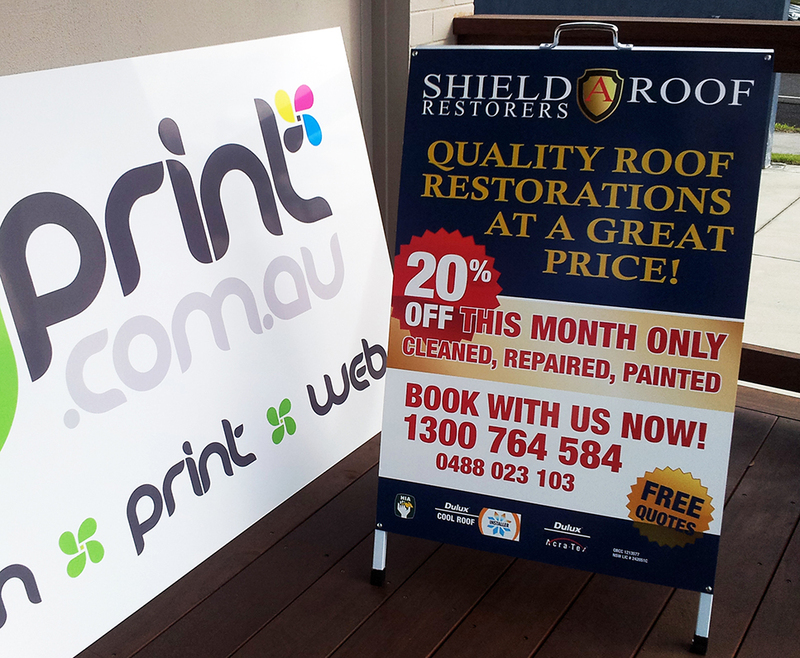 We also laminate the A-Frame signs so they are easy to clean and last longer. We do not charge for different images on the same A-Frame so why pay more? Our A frame signs include a 3mm thick aluminium composite panel on both sides which provides a strong and flat base for the signage, most other brands only use a thin 0.80mm colour bond which can become wavy and affect the appearance of the signage. A-Frames can be reprinted by changing the panels, why pay for another A-Frame Sign?